This dual lane inflatable Kraken slide, is just the wow slide you are finding. The ship and octopus are amazing visuals. 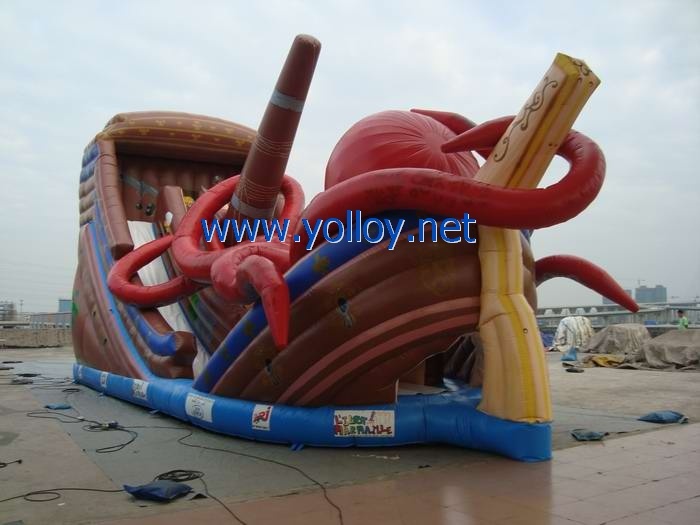 Except the kraken inflatable slide, we also have inflatable slide with other design such as batman inflatable slide, bugs bunny inflatable slide, sponge bob inflatable slide, octopus inflatable slide and so on, for more designs, please feel free to contact us.